What will a virtual call center of the future look like? With the rise of new tech innovations coming hard and fast, the virtual call center of the future is something we can all look forward to. From cloud computing to virtual technology, these tech advances are revolutionising businesses right down to the core. And for call centres this is no different. They’ve had to go from a skip to a leap to stay competitive in this new online world. And firstly, by jumping on the cloud. The cloud is the future of where call centres will be running their phone systems. It’s the new terrain, with limitless boundaries to expand call reach and capacity. It means you can have your staff working from anywhere using the same cloud platform. Rather than be limited by office space and infrastructure, you can also use the cloud to scale to call demand. Opening up lines in busy moments to a whole network of call centre agents. Or scaling back in an instant when things start to quieten down. This is the limitless potential. Automation is central to the virtual call center of the future. To understand what this means, think of any repetitive, tedious manual task that takes you away from your customers. This is what automation seeks to eliminate! From manual dialling to managing queues, every call centre process is automated. This kind of end-to-end approach has a profound impact on call centre productivity. Calling is now one seamless flow between the agent and the customer. Agents are more productive and managers have more time to control the customer experience. 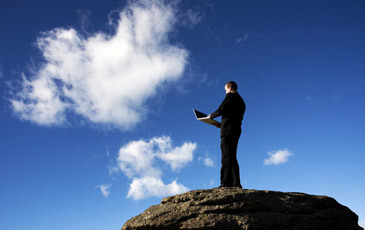 Being cloud-based also gives you extensive capabilities to integrate with external business applications. From Xero to Mailchimp, you can export client data automatically and always keep it up-to-date. This is a big deal, saving your agents the hassle of having to manually export information at wrap-up. Or the bigger danger of it not happening at all. Down the line, this can impact many areas of your call centre processes. Plus waste a lot of time trying to rectify incorrect customer information. Automation also adds integrity to customer information. This helps agents build more insight-driven relationships with their clients. With information going mobile, software will become more interwoven into the very fabric of how we do things. Wearable technology is an example of this, reinventing what clothing is meant to be. Instead of just for wearing, it can become a portable doctor that can read a pulse, detect body temperature, monitor the heart and more. For a virtual call center, this is a giant step for being able to better monitor employee health in real time. And this is just scratching the surface. As wearable tech develops, it is also transforming the context of how a call is taken. With tech gadgets getting smaller, VoIP can now become more interwoven into the very fabric of what we do. From the lapel of a shirt to a watch, the sky’s the limit of how a call can be taken. This is an exciting prospect that no-longer bounds an agent to an office. Virtual technology is already transforming the world as we speak. The entry of virtual headsets such as Oculus Rift and PlayStation VR are just a glimpse of the devices we’ll soon be using. With virtual technology, virtual call centers can be linked to an entire virtual experience. Where avatar agents talk to avatar customers or connect through live streaming video. It also means agents can work from anywhere. They can log in into a virtual call center and interact with an online team that still feels close. This is the virtual tech potential. The reality is, the virtual call center is already here waiting for you to get on board. And many call centres are already trying to figure out exactly how this works. How do they transform a clunky old phone system into a lightweight virtual call center? It may feel like a daunting task, however, the transition is far easier than you think. With call centre software your can get your whole team working virtually in an instant. They can log in in to the same interface, use the same phone systems, access the same powerful features, work on the same campaigns and view everything in real time no matter their location, It also means they will be primed and ready for the next wave of cloud innovations. Want to explore call centre offshoring?